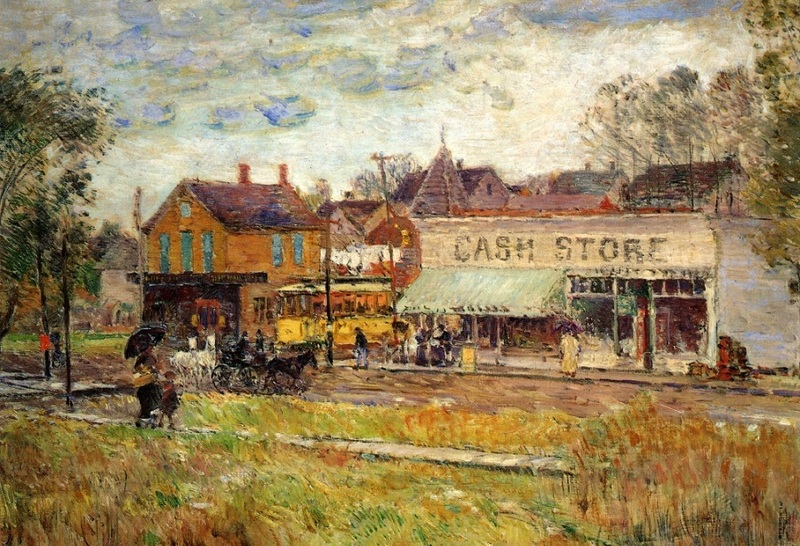 End of the Trolley Line, Oak Park, Illinois, 1893, oil on canvas by American artist Frederick Childe Hassam (1859–1935), painted when Hassam was in Chicago for the World's Fair. Like Oak Park, Anderson’s fictional Huntersburg is due west of Chicago—albeit forty miles further out. Image courtesy of WikiArt. As early as 1913, two years before he began drafting the stories of Winesburg, Ohio, Sherwood Anderson worked simultaneously on two novels, “Talbot Whittingham” and “Mary Cochran.” The first was a semi-autographical study of a young man struggling to become an artist; according to biographer Walter B. Rideout, the surviving manuscript reveals much about Anderson’s evolution as a writer, but “the novel has serious flaws.” “Talbot Whittingham” remains “unpublished and unpublishable” and survives among his papers, examined only by scholars and biographers. One of these days I shall be able to give you the Mary Cochran book. It has tantalized me a good deal but is coming clear now. In its final form it will be like Winesburg, a group of tales woven about the life of one person but each tale will be longer and more closely related to the development of the central character. The tales that are to make up the Mary Cochran book are waiting like tired people on the doorstep of the house of my mind. They are unclothed. I need to be a tailor and make warm clothes of words for them. Although the Mary Cochran narrative didn’t live up to the author’s original expectations, the two published tales are hardly out of place in The Triumph of the Egg. 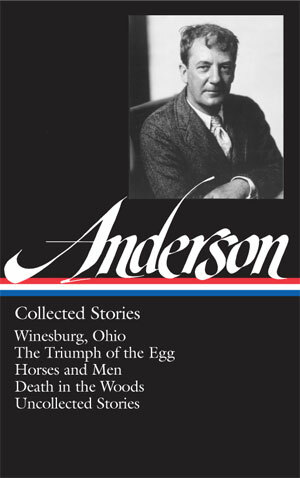 In a retrospective essay published shortly after Anderson’s death in 1941, his longtime friend Robert Morss Lovett evaluated Anderson’s writing and found that many of his stories “are concerned with the frustration of human life that comes from isolation, the inability of one being to come near, to enter into understanding with another.” Of all the stories in the collection, “Unlighted Lamps” is probably the most successful at bringing together these twin themes of crippling loneliness and of the failure of loved ones to communicate. Note: Much of the background in this introduction and the letter excerpts have been culled from the first volume of Rideout’s masterful biography, Sherwood Anderson: A Writer in America (2006). Mary Cochran went out of the rooms where she lived with her father, Doctor Lester Cochran, at seven o’clock on a Sunday evening . . . If you don't see the full selection below, click here (PDF) or click here (Google Docs) to read it—free! Several Stories of the Week have stacked up in my inbox. I opened this one, determined to make progress, as if reading a story were a chore. I saw that Anderson's story was going to be 18 pages long. No! But I started to read, & kept reading, having forgotten about page numbers--until I worried, page 16, about the outcome for the two fictional people I now cared about. Not wanting the story to end except happily, & that's reading for you.